When I lived out West, I missed the dogwood tree’s lacy, airy blooms, which seem to be omnipresent during springtime in the Southeast. To be without the dogwood in spring is like not having spring at all. Dogwood's represent Christ nailed to the cross, and signify rebirth. 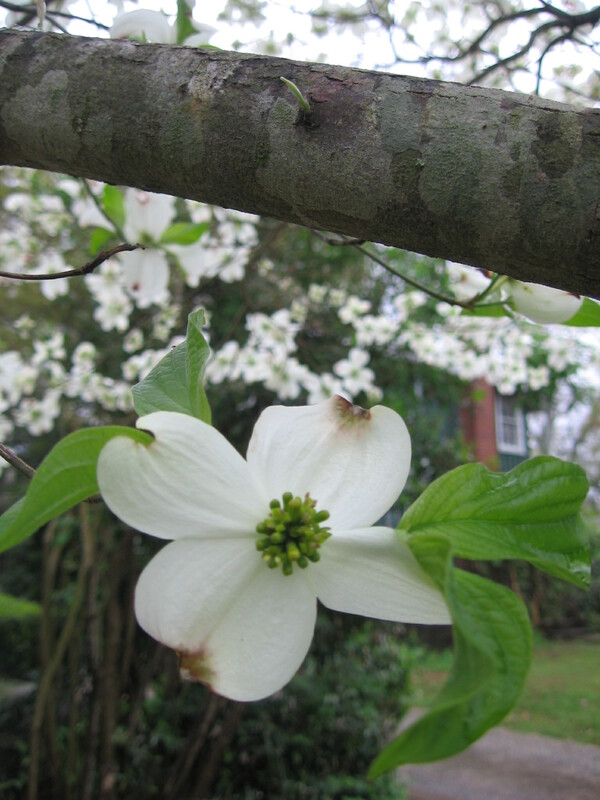 The dogwood tree (Cornus florida) hardly needs an introduction in how to identify it. If I were to stop random people on the street and ask them to identify a dogwood – kind of like Jay Leno asking random people about politics – I would be interested to see the results, but I’m guessing even people with no interest in plants could identify a dogwood tree. Just in case, though, the dogwood is a small, slender-trunked deciduous tree with bark resembling a Roman tiled mosaic. Its large, four-petaled white flowers have a rusty-pink divot, or impression, at the tip of each petal’s edge, which cause the petals to slightly curl. The pink-blossomed variety has greenish-white divots. Dogwood blooms have been said to signify Christ nailed to the cross, with the divots being the place where he was nailed. As a medicine, other than for its aesthetic beauty, dogwood is no longer used; however, Native Americans, African slaves and Confederate soldiers found the tree’s medicine highly valuable. When the Southern ports were blocked during the Civil War, the South lost access to imported medicines, one of which was quinine, which was used to treat malaria, from the bark of the South American Cinchona tree. The surgeon general of the Confederacy commissioned Confederate surgeon and botanist Francis Peyre Porcher of Charleston, S.C., to prepare a treatise on medicinal and economically useful Southern botanicals. In 1863, Porcher offered the surgeon general his “Resources of the Southern Fields and Forests,” which gathered uses of plants from physician colleagues, plantation slaves, published accounts from various sources and Native American usage. Some claim Porcher’s work enabled the Confederacy to continue for months longer than it could have without the knowledge he gathered. Porcher included dogwood in his list of “easily procurable medicinal plants to be collected by soldiers while in service in any part of the Confederate states,” stating the dried, inner bark was as useful as quinine for intermittent, malarial fevers. The red berries “infused in brandy” were used as a bitter, which is a term meaning it enhances digestion. Dogwood twigs served as a toothbrush, which some physicians observed slaves using, and attributed the twigs to the slaves’ white teeth. Ethnobotanist James Duke says the flowers were used like chamomile, easing colic, which is how the Cherokee employed the flowers. 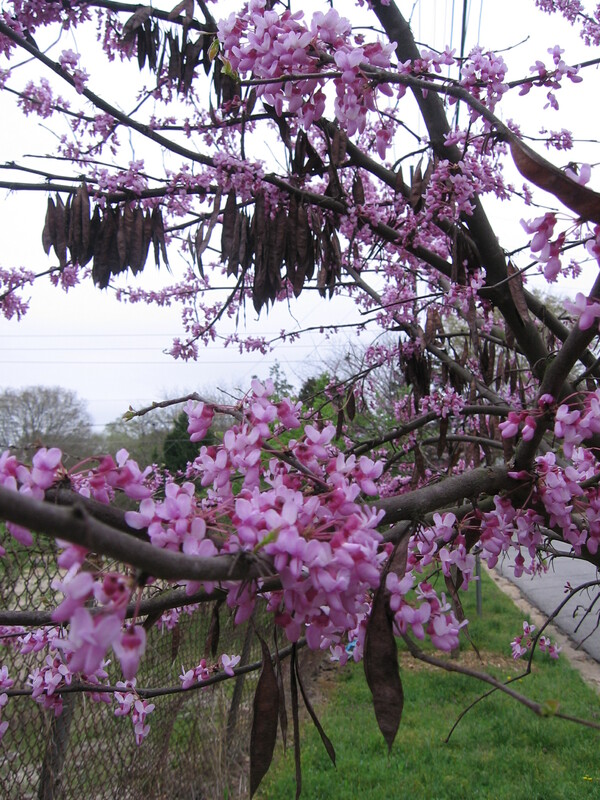 The Cherokee also used dogwood bark as a tonic blood medicine, back pain remedy and for phlegm causing a hoarse voice, which seem unrelated, unless the dogwood is viewed as a stimulating remedy. 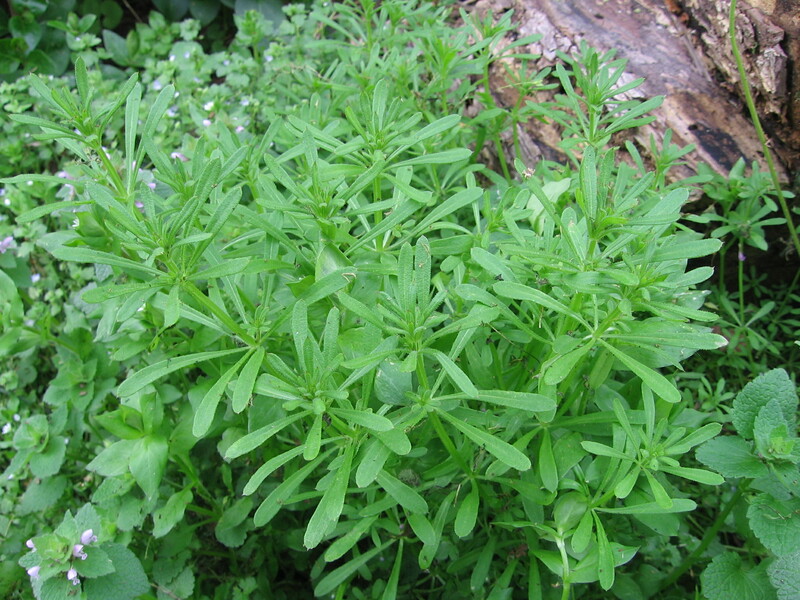 In fact, it only was used in intermittent fevers because it was too stimulating for sustained, high fevers. The Cherokee used the hard wood to carve and for loom shuttles, as it can withstand great pressure. Red dye has been extracted from the roots for coloring quills and eagle feathers, according to the Lady Bird Johnson Native Plant Database.